Note: Years after I did this interview with James, he conducted a retreat in Arizona that included a sweat lodge experience, and three people died there. In 2011 he was convicted of negligent homicide, served two years in prison, and was released in 2013. When I first learned about the sweat lodge deaths, I seriously considered taking down this interview, but I decided to leave it up for historical reasons. 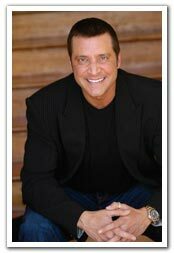 I’m delighted to present this exclusive interview with James Ray, President and CEO of the multi-million dollar corporation James Ray International and cast member of the increasingly popular movie The Secret. Last week James shared his insights on the Law of Attraction on The Oprah Winfrey Show, and previously he appeared on Larry King Live with other cast members of The Secret. Most remarkable is that he credits these appearances to the Law of Attraction itself, the manifestation of intentions he set in motion six years ago. James has devoted over two decades to studying the thoughts, actions, and habits of those who possess true wealth in all areas of their lives. He has studied and been exposed to a wide diversity of teachings and teachers — from traditional college and the schools of the corporate world, to the ancient cultures of Peru and Egypt, and the jungles of the Amazon. As a coach and mentor, James has taught thousands of individuals and organizations to create harmonic wealth in all areas of their businesses and lives. Because of his comprehensive and integrated background, James considers himself a “practical mystic,” and he seeks to share this unique way of living with individuals around the world. In this exclusive interview, James shares his insights into the Law of Attraction; the relationship between wealth and spirituality; and the power that comes from creating alignment between our thoughts, feelings, and actions. 1. Why do you consider yourself a “practical mystic”? When you think of a “mystic,” you probably envision someone who has completely given up the joys and pleasures of earth. In many (if not most) cases, our society has faulty logic regarding what it means to be “spiritual.” We often think it means you have to wear white robes, burn lots of sage, and eat legumes. While this may be one form of spirituality, it’s certainly not the only form. If you want to wear white robes and chant, that’s fine, but you can just as well wear Armani and listen to U2 if you prefer (and it’s much more fashionable in Western society). I contend that the time has come to develop what I call “integrated spiritual masters.” These are individuals that have a full-on experience of all levels of life spiritually, intellectually, emotionally, and yes… physically. In other words they can soar into the realms of the mystic and yet still keep their feet in the sand. All great spiritual traditions, as well as quantum physics, tell us that every single thing comes from the same source. As you think about that, if it’s all the same stuff… where is God, Spirit, Energy not? True mastery is the ability to experience the source of everything in business as much as in the temple. 2. What is the relationship between wealth and spirituality? Are they inherently in conflict, or can they coexist harmoniously? Absolutely they coexist harmoniously; and this ties in to what we’ve just discussed. First we need to understand what “wealth” really means. If you trace the root of the word, it comes from the same root as “well-being.” Most people think wealth is just about money. Understanding that real wealth is really well-being, you begin to realize that while you may go after the money and get rich… it doesn’t guarantee you’ll be wealthy. Money is certainly a part of wealth, but it’s only a part — not the whole. The dance is to consistently harmonize what we do in the tangible realm of cause and effect with who we are and how we create in the spiritual dimension. The results you have in the third dimension are a reflection of who you are in the spiritual realm. Read that again because it’s critical. Bringing power, energy, and consciousness to both is what creates the end results (and the sense of well-being) we seek. The truth is we’re operating on both levels simultaneously all the time, whether we’re aware of it or not. Most people torpedo themselves unconsciously: They work hard, doing all the things they’re “supposed” to do to create success, but in the spiritual realm, they’re carrying doubts, fears, anger, unworthiness that stunt their practical results. 3. What are some key differences in word, thought, and deed between those who are achieving their dreams (professional, financial, and personal), and those who are not? The question is pretty much the answer… their words, thoughts, and deeds (actions) are consistently different. To this equation I would add, “So are their feelings.” The Law of Attraction is one of the seven laws of the universe; and it’s consistently attracting to you the results that are in harmony with your energy. It always works… no matter what. What this means is that everything in your life is your creation — the good, bad and ugly. I’ve interviewed literally thousands of “dream achievers” versus “dreamers” (big difference), and without exception you’ll find that anyone not creating what they desire is missing at least one of the three. For instance, there’s been a lot of teaching about visualizing in the last decade, so a lot of people have gotten pretty good at it. I can’t tell you how many people see me in The Secret and tell me “I’m sitting in my living room visualizing my new life every day.” Let me let you in on another secret… you sit around and visualize and they’ll come take your furniture away! While this person may be able to think and feel their visualization in spades they’re not taking any action. It’s not going to happen. Then there’s the person who’s constantly thinking about losing weight. And let’s assume they’re taking action — this diet, that diet. But the weight’s not coming off — you know the drill. Consistently you’ll find that while they may be talking thinking and acting a new body… inside they feel overweight, out of shape, and most likely unworthy or incapable of truly achieving their goal. Once again… it’s not going to happen. Likewise, there’s the person who wants to “get out of debt.” While this at first blush may seem like a noble goal, it’s inherently flawed. The very nature of the goal itself is a focus of attention upon what you don’t want. You can’t even think about this goal without giving energy to the problem. So let’s say we change that to “financial freedom.” Now you’re heading in the right direction, but you have to keep yourself in check because every single time you state, “I can’t afford that,” you’re thinking and feeling in the wrong direction again. How about, “I can afford anything I want, but I choose right now to not acquire or invest in that.” Big difference. Energy flows where attention goes. If you desire to create what you deserve you must consistently go “three for three.” When you go three for three — your thoughts, feelings, and actions consistently in alignment — you can create anything you want. 4. What role has the Law of Attraction played in your life? How are you applying it today? It guides and creates every single result I produce… just like it does for you. In my book The Science of Success, I cover in great detail The Law of Attraction as well as the other six laws of the universe; and how they interact and support each other in every area of life. How I’m using the laws in my life right now is mostly service related. I have a compelling vision to touch every single country on the planet with these teachings. There are 192 total countries on the planet, and we’ve touched 68 so far. This is extremely exciting and inspiring at the same time because while being grateful and honored to have touched many lives, it still gives me a lot to shoot for. Six years ago I set the intention to be on both the Larry King and Oprah shows, and I’ve accomplished both of those in the last 4 months. No one can tell me these principles don’t work. 5. What is the role of action with respect to the Law of Attraction? If I want to manifest a million dollars, can I just sit on my couch all day wishing for it to appear, or do I need to take some kind of effortful action? I addressed this earlier, but it can’t be over emphasized. Remember you must go “three for three.” Your thoughts, feelings, and actions must all be firing simultaneously for you to create and attract the results you deserve. When I set the intention to be on Larry King and Oprah six years ago, I created a clear intention (thought). I then begin to visualize it… not only in the recesses of my mind, but I would also watch their shows. As Larry and Oprah asked their guests questions, I would pretend they were speaking to me, and I would feel the excitement of being there and sharing my insights (feelings). Now this is a key point. I remember when I told this story to the producer of LKL she asked me, “Why didn’t you call and pursue us?” Because I knew if I did they wouldn’t answer — both shows are inundated with those who want to be guests. The action I took was to work on me — prepare myself — study — provide more value to the universe and guess what? When I was ready both shows called me. Taking action is about moving in the direction of your intention and preparing yourself to receive what you know is on its way. Three for Three is the keys to the kingdom, and no one can rattle my certainty on this. 6. When we set goals or form intentions, how do we create alignment? What does it mean to be in resonance? Science proves that everything in our universe is energy — your body, your house, car, money — all energy. Likewise your thoughts, your feelings and actions… all energy as well. To be in resonance simply put is to be in harmony. You must put yourself in a harmonic vibration (resonance) with the thing you desire. The other side of the coin is that you can be in harmony with what you do not desire. Anything you fear or love will begin to rush rapidly into your life. For example you may desire a new home. Can you feel the emotion of owning this home? Can you feel the happiness, the pride, the joy, the sense of accomplishment? Can you see yourself living in the home, cutting the grass, entertaining guests? Can you take action to get an agent and start looking for it? If you can, you’re creating a vibration inside yourself that’s in harmony or resonance with the new home. If on the other hand, you can’t really see and experience yourself in this light… and you’re skeptical that your desire will be attained, you’re in a vibrational resonance that actually blocks you reaching this desire. The concept of the Law of Vibration has been known and talked about for centuries. However, it has only been in the latter part of this century that an explanation for it has evolved. The explanation comes in the form of a science called Quantum Physics. Since the Universe is comprised of energy, every single thing in the Universe is comprised of this energy. Every material thing, every natural thing, empty space, even your thoughts and emotions — all energy. Your thoughts and emotions, being energy, are able to impact other universal energy. Your thoughts are directional and your emotions are magnetic. When your thoughts and emotions are aligned with the energy of something that you desire, you’re already attracting it into your physical world. 7. What advice would you give someone who’s desperate to break the cycle of thinking negative thoughts, succumbing to negative emotions, feeling totally unmotivated, and remaining stuck in negative circumstances? Desperation is a self-fulfilling cycle of doom guaranteed to create more of the same. The first thing you must do is become grateful for what you currently have — there’s always good and God in each and every situation. If all your energy and attention is invested each morning in how overweight, depressed and broke you are you’re magnetically calling forth more of this vibration from the universe. Always remember that emotions are magnetic calling forth corresponding vibrations. Conversely if you begin each day with gratitude for the health you currently have, and all the good and God that currently exists in your life, like magic the universe brings more good to you. If you think this is crazy or Pollyanna… think again. Gratitude is the most powerful creative vibration in the universe. 8. Do you perceive events and circumstances as being either good or bad? When a seemingly tragic or negative event occurs in your life, how do you respond to it? You have to see it for more than what it is. For instance, I was hit head on by a car in the late ’80s, and it totally changed my life. It caused me to step back and realize that the physical body could be taken out in an instant. I started looking at things a lot differently. It was a real significant emotional event for me. What I realized is that no matter where you are in life, challenges are a part of life, and to think otherwise is illusion. It really is. Don’t wish for an easier life… that’s illusion. Wish for greater capacity and capability to ease elegantly through life. We always have challenges in life; and the bigger the game you play, the bigger the challenges. 9. What are the most important new distinctions you’ve made since The Secret was filmed? This is not a new distinction per se, but definitely an affirmation of what I know to be a tremendous positive shift on the planet. This is a time that all great spiritual traditions have predicted to bring a massive shift in the consciousness of mankind. The Secret’s mass appeal is a reflection of this shift. The fact that I’ve been on Larry King Live, Oprah, The Alan Colmes show, interviewed by the Wall Street Journal, StevePavlina.com, and many other media sources is a reflection of this shift. Who would have predicted this even a few years ago? We live in a very exciting time; it’s a time in which science and spirituality are realizing they’re sister studies — no longer in opposition. Quantum physics is the mysticism of the 21st century. Very exciting… and I’m extremely optimistic about where we as a people are headed and who we’re becoming. 10. What other ideas, projects, and/or activities would you like to share with StevePavlina.com’s readers? Traveling around the globe and dealing with multiple thousands of individuals, I know what every single person wants, whether they’re consciously aware of it or not, is a state of achievement I’ve coined as Harmonic Wealth®. As we’ve previously discussed, wealth and well-being have the same meaning. Harmonic Wealth therefore is a harmonic state of well-being in the five key areas of your life: financial, relational, intellectual, physical, and spiritual. When these 5 pillars are in harmony then you’re truly wealthy. And this is what every single individual really wants. That being said, one of the most passionate projects I’m involved in is my Harmonic Wealth Weekend — two full days in which you immerse yourself in all the techniques, philosophies, skills and strategies, to create Harmonic Wealth in the five key areas of life. You’ll learn everything you need to make your life easy and elegant. I would love nothing more than to meet you in person and share these secrets with you. SP: Thank you so much, James!